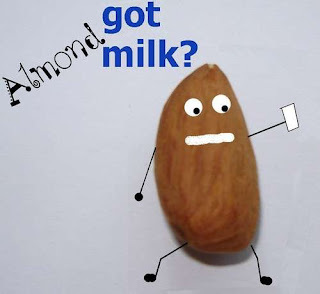 Can I have almond milk? 2. Yes almond milk is great. Do you make your own or purchase it from a store? When ever you can in the next 9 days make your foods from scratch. Here is a link for a great raw recipe. And make sure any almond milk you buy has NO SOY LECITHIN. Poison. 3. Green tea, rooibos tea and yerba matte are great too! Also this week, if you are drinking tea make sure it is the whole leafs and not tea bags. Tea Bag tea is like the fast food of teas! Herbs& plants like mint, green tea, lemon myrtle, ginger, dandelion and lemongrass make great cleansing teas and are quite assessable. 4. Coffee is not out on the earth diet. Coffee beans come from the earth naturally. Like the cacao bean (chocolate bean) however it can be addictive and become a drug - so if you usually have coffee everyday - go without for 9 days. Allow your body to clean it's self out of familiar comfortable tastes. What I Ate Today: A mono food day - getting prepped for tomorrow's 21 day Challenge! Meal 1: A grapefruit and ginger juice. Meal 2: A raw breakfast bar I make with oats, walnuts, cashews, almonds, dates & chia seeds! Meal 3: An avocado with walnuts. Meal 4: A beetroot (beet), carrot, celery and ginger juice. Meal 5: A green salad with lettuce, baby spinach, avocado, spring onions, garlic, ginger, green chilly, and lime juice! mmm refreshing! Exercise: Lots of walking today! And working, standing, chatting at the farmers markets!